BRYAN EATON/Staff Photo. 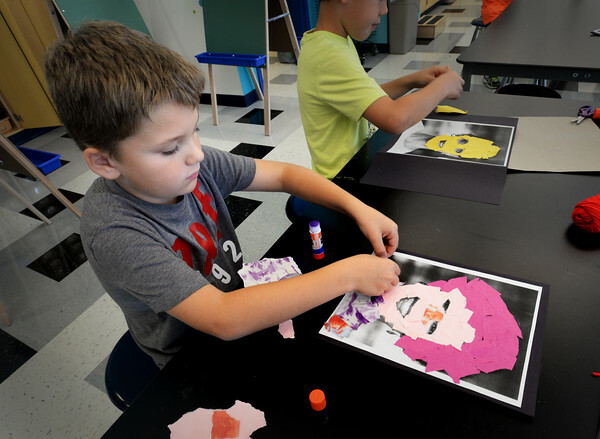 Cody Vincent, 9, works on a collage in Pam Jamison's art class at the Bresnahan School on Thursday morning. The project was "Face For a Base" where they learned about collage starting with a photograph of a school administrator, in his case principal Kristina Davis, and created a collage from that.